Oh, how I love a good milkshake! But what do you do if you’re lactose intolerant or choose to be dairy-free? Go without? Oh, I don’t think so. My secret? Use almond milk. If you haven’t tried almond milk, you should. It is a great substitute for regular milk and can be substituted for cow’s milk in most recipes. Combine the sugar, cocoa powder and 1 cup of almond milk in a microwave safe bowl or glass measuring cup. Whisk until cocoa is completely blended. Microwave for 40 seconds. 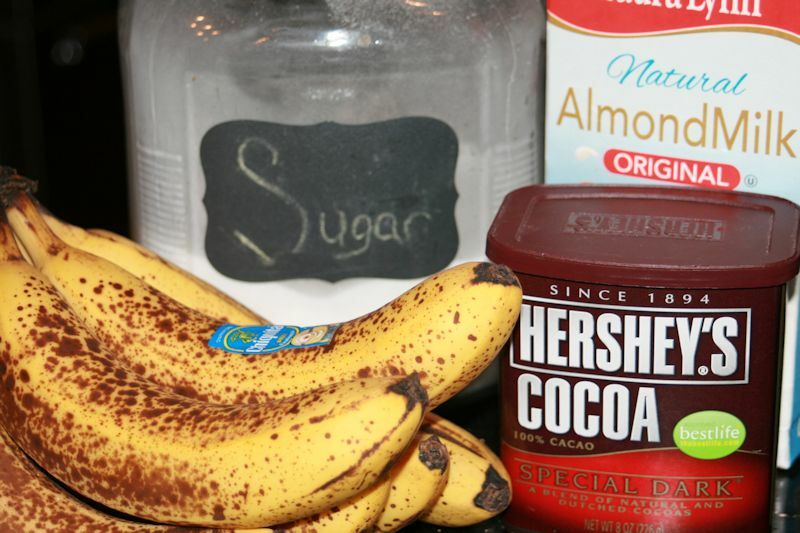 Place bananas in the Ninja mixer and pour the heated chocolate mixture over them. Add the 2 remaining cups of almond milk. Mix until smooth (2-4 quick pulses in a Ninja followed 10 seconds of steady blending). 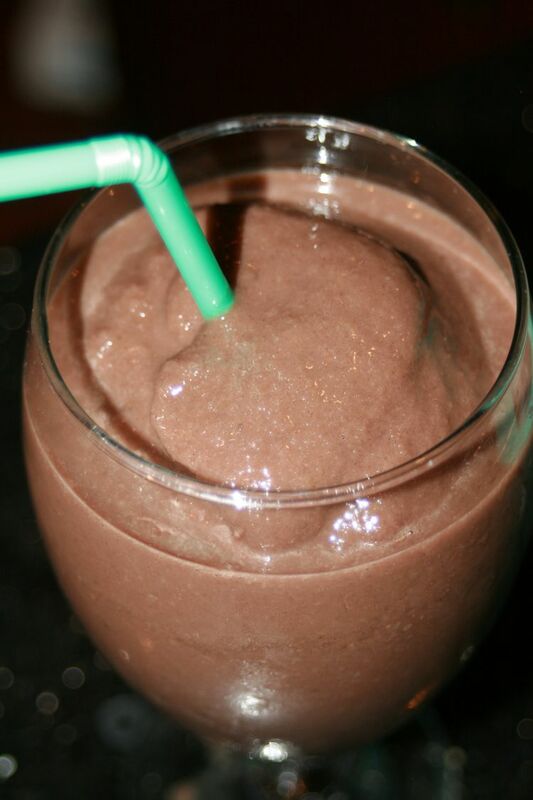 If you used frozen bananas and want a great smoothie versus a more frozen shake or ice cream, you can stop right now. If not, continue on. Pour the whole mixture in your favorite ice cream maker and hit the on switch. That’s it. So simple. If you use frozen bananas, you should reach a rich creamy milkshake consistency in 5 – 10 minutes. Or if you’re feeling froggy, let it go the full time for ice cream.